If Toyota drops the 86 sports coupe, what will be the fate of the Subaru BRZ? Recent reports say it will survive the chopping block. Toyota seems to be on a quest to pare down their cars as the industry makes a shift to SUVs, trucks, and crossovers. So what is going to be the fate of the Toyota 86 sports coupe? Torque News reported in November, a report from Automotive News said Toyota will likely ax the 86 sports coupe because of lagging sales. If this happens will Subaru be forced to drop the BRZ two-door coupe from the lineup? The Toyota 86 and Subaru BRZ sports coupe joint venture is still a success in spite of slower sales. The 86/BRZ twins are still the most affordable sports cars on the market. They are fun-to-drive and provide a good way to get new customers in the door, at least for Subaru. 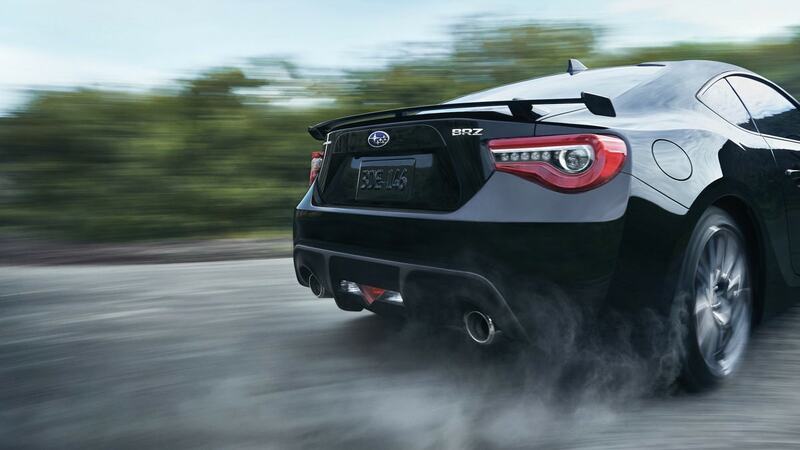 Even though Toyota will likely ax the 86, Subaru could keep the BRZ in the Subaru lineup. Why should they keep it around? Subaru has always used the rear-drive BRZ coupe to get new buyers in the door who wouldn’t normally come into a Subaru dealer. Think of the sports car like a loss leader. Subaru gets new buyers in the door who are drawn in by its sporty looks and driver-connected driving dynamics. These consumers aren’t necessarily looking for an all-wheel-drive crossover. After they get in the door, they will learn about the benefits of the new Forester, Ascent, Outback and Crosstrek all-wheel-drive models. The BRZ is a tool to get new people into their showrooms, and it’s working. The BRZ will be someone’s second car and it won’t be used as a daily driver year-round in most cases. Subaru will use their other vehicles like the Forester SUV, Outback wagon or Crosstrek crossover to grab these buyer’s attention when they are looking for a vehicle for everyday use. Subaru is attracting many new buyers to the brand who have never purchased a Subaru vehicle before and BRZ plays a part in the brand’s overall strategy. Toyota is a huge automaker and has very a different game plan. 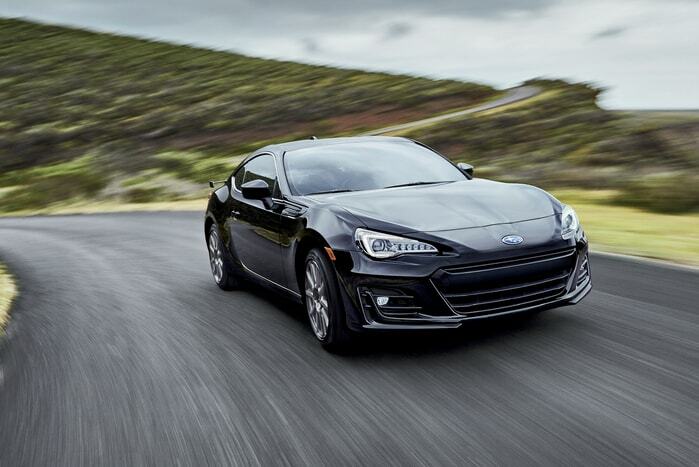 Subaru BRZ fans will see the second-generation sports coupe get the new Subaru Global Platform that underpins all new-generation Subaru models. This will improve driving dynamics and ride quality even more. It will also open the door for new engine options. Recent reports say Subaru could ditch the FB20 2.0-liter naturally aspirated engine and put a new 2.4-liter turbo Boxer under the hood. They could use the 2.4-liter engine sourced from the all-new Ascent family hauler. Fans have been asking for more power in the BRZ/86 duo and the 2.4-liter turbo would give it a boost. This has not been cofirmed by Subaru, and is still speculation at this point. The 2019 Subaru BRZ is a fun rear-drive two-door sports car but it isn’t Subaru’s bread and butter model. It’s used as a sporty “catch-your-attention” model that will never be a large volume vehicle in the lineup. It’s helping the brand sell more new Foresters, Outbacks, Crosstreks, WRX/STIs, and new Ascent family haulers. It’s a formula that’s working for Subaru. It’s why the sports coupe won’t likely be put on the chopping block and will stay in the lineup. I’m not sure If there’s room for the 86 and the Supra in the Toyota fleet. Like many of us I imagine, I’ll be upgrading over the next couple of years. It’ll be sad to see the 86 go from production though as I love it. Would be great if they had more power though. Just add the powern the 86 is a great tuner car. I do not want a truck or SUV.